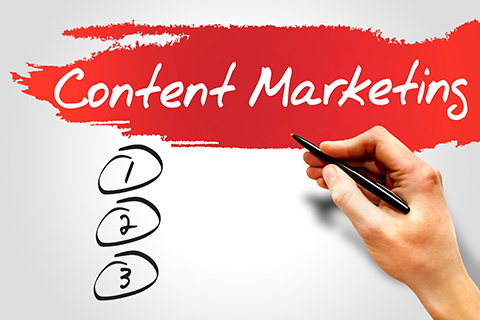 Content Marketing is a field in marketing that is constantly evolving. Every year, there seems to be a number of content marketing trends and new ways to think about content marketing. Consequently, this can make it challenging for a content marketing manager to decipher which marketing priorities to focus on first and foremost. I have worked in content marketing for three years, and I must say, the hardest part of my job as a one-woman show running the content marketing department of a software company is figuring out where to focus all of my efforts when there are so many different content marketing objectives I want to accomplish. As a result, I used to stretch myself too thin, meaning I dedicated roughly the same amount of time to all of the tasks in the pipeline because they all seemed equally important to reach my marketing goals. I thought this was the right way to go, so I wouldn’t have to put off anything that I wanted to accomplish. When speaking with other content marketing managers and specialists, I discovered that many, in particular content marketing managers and specialists running a content marketing department on their own, dedicate roughly the same amount of time to all of their tasks in their pipeline because they all seem equally important. As a result, in the content marketing industry, it can be easy to spread yourself too thin. Well, here is the thing: Not all tasks are created equal. Some are simply more important and/or more urgent than others. And, while it can be difficult to put off lower priority (less important, less urgent) marketing projects while you focus on higher priority ones (more important, more urgent), it is key if you want to see results that get you closer to accomplishing your marketing objectives. So, in this article, we are going to discuss how to prioritize content marketing efforts to achieve the most efficient content marketing project management. Note: This article is designed for those with a smaller content marketing team. Use the Content Marketing Project Management Matrix to decide which projects need your utmost attention. The content marketing project management matrix is a quadrant-based method to help you organize all of the projects that you would like to work on based on their importance and how immediate they are. These projects are mandatory and time sensitive to ensure that you hit your marketing objectives. This quadrant will include projects that should be launched soon. These are projects that are important and need to be done eventually, however, they shouldn’t receive your utmost attention now. These are projects with an emerging deadline, for example, a guest post on a website with a medium DR which won’t have the biggest results, but is still worth doing. Only complete these tasks once quadrant one tasks are completed and you have evaluated quadrant two tasks. This quadrant is reserved for “brain-dump” projects. Put tasks into this quadrant that you would like to consider pursuing in the future. When putting projects into the Content Marketing Project Management Matrix, a content marketer must take time to think about which projects would bring them closer to attaining their marketing objective. For example, let’s say your main marketing objectives are to increase blog visits by 25% and trials by 5% in the next three months. To do this, it might require you to focus mainly on content creation, in the form of posting to your blog once a week, as well as content promotion and link building to ensure that your content is ranking and being placed in front of future customers. Thus, these projects are your bread and butter right now and why they are placed in the first quadrant. In the future, a webinar might give your product the opportunity to be considered by more potential customers. However, at this moment, while this is an important project, it might not help you achieve your current, main marketing objective, so it will go into quadrant two. Perhaps you will come back to it when you finish those quadrant one tasks. In regards to your current priorities, let’s say a blog with a medium-level domain rating reached out to you and asked if you would like to write a guest post for their blog to be published in three weeks. Obviously, writing this guest post isn’t going to make-or-break your success in the content marketing department (most likely), but it still might be worth it to write the post. Thus, if possible, you will delegate this task to an intern or assistant, so you can continue to focus on quadrant one tasks without getting distracted. If you are a one-person show, this is where you have to consider if the time and effort to write this guest post will be worth it, or if you should focus your efforts in quadrant one. Finally, in quadrant four, you might put video creation. Ideally, it might be great to add videos based on your niche to your YouTube channel, but for the time being, you don’t have the time nor the resources for this project. You will still “dump” this in quadrant four so you do not forget about it when you have more time in the future. Here is a blank Content Marketing Project Management Matrix that you can use for your own projects. I highly recommend creating a separate template for EACH SEPARATE project in your Content Marketing Project Management Matrix. For each project, I recommend continuing to use the quadrant method for consistency. I created a separate quadrant-based project called Content Creation and Promotion to cover the first two projects in Quadrant One of the Content Marketing Project Management Matrix. I put tasks to accomplish all of these along with due dates so I stay accountable under each designated quadrant. This helps ensure I get all of the moving parts of my initiatives completed on time to help me accomplish my marketing goals. In content marketing, it is so easy to want to approach everything with a can-do attitude — but as a result, your results will be lacking because instead of giving each project your all, you are putting a mediocre level of effort into each project. Instead, it is the most productive to figure out where your time is best spent and solely focus on those projects. By taking the time to utilize the Content Marketing Project Management Matrix, you will ensure that you are focusing on the right things — the things that help you move forward and allow you to hit those benchmarks you set for yourself-minus any distractions. About the Author — Danielle Levine works as a Content Marketing Manager for Appfluence. In her role, she studies a variety of management techniques and industry best practices in order to present actionable strategies to teams all across the world. She strives to deliver content that helps individuals, leaders and businesses run their organizations efficiently. Appfluence builds Priority Matrix, a software solution that helps teams collaborate more effectively by providing a platform that centralizes project documents, action items, and communication all in one place.